We've written about standard work in the past, but it is often a topic that is overlooked or misunderstood in the continuous improvement process of many organizations, so it's definitely worth revisiting. If you’re in the process of implementing Lean, Kaizen, Six Sigma, or another method of continuous improvement, we strongly recommend making standard work a part of your process. Standard work is the practice of setting, communicating, following, and improving standards. Establishing standard work begins with creating, clarifying, and sharing information about the most efficient method to perform a task that is currently known with everyone performing that process. Once this information has been shared, everyone practices this standard consistently so that the work is done the best way every time. This is where continuous improvement comes into play; standard work isn't a "set it and forget it" process, announced once and then permanently unchanging. Instead, everyone should work to improve the standard, and share new best practices as they're discovered. What is NOT Standard Work? It’s important in any discussion of standard work to talk about what it is not, as a poor interpretation could mean results that inhibit improvement rather than supporting it. Leaders have an obligation to promote standard work in the correct way, so that staff will both respect the need for it and invest themselves in improving it. Standard work is not a way for leadership to dictate to employees how to do something. Implementing standard work with this approach limits improvement because it separates thinking from doing. Creativity and independent thought are necessary for improvement, both of which are limited if standard work is viewed by employees as restrictive and burdensome. Standard work should be a way to help employees establish their footing to reach new heights through innovation, creativity, and the desire to improve. As such, it should be created by those who perform the task - after all, they're the ones doing the work, so they're the most likely to know how to do it well. Importantly, it should not be used as a performance measure. For more information on how standard work should and should not be applied, check out this full list of Standard Work Standard Work - Do’s and Don’ts. Should All Work be Standardized? Not all work lends itself to standardization. So how do you know what should be standardized? For example, standard work for how to ring a purchase into a cash register obviously can be very helpful, especially to new employees learning how to use the register. Standard work around how to speak to customers while ringing them in probably isn’t that helpful, and may lead to stilted, awkward moments with customers as employees recite scripted messages. Why do We Need Standard Work? When the method of work varies among employees, error and wasted resources can often result. If one employee knows how to do a job as well as it can be done at this current point in time, and another does not, it makes sense that you want the employee who knows more about the work to teach the one that does not, right? It’s often surprising the amount and types of waste that can be fixed with standard work. At the New York Methodist Hospital, standard work helped fix an issue with the overhead PA system, you can read about that on our blog here. Hospitals and manufacturing facilities around the world turn to standard work to improve safety, law firms rely on it to increase productivity, and restaurants depend on it to satisfy customers. Whatever industry you're in, standard work should be a part of your processes. What is the Value of Standard Work? When everyone can access the current best practice for a task, it not only eliminates waste due to unshared knowledge, but also enables employees to improve the work further. When an employee learns the current best practice, they can better see opportunities to create change. It's helpful to think of standard work as a set of stairs, with the first step to be your current status and your last step to be your goal. To reach your goals, you can't jump up the entire flight of stairs - you have to take it one step at a time. Standard work is like the steps on the staircase. You start at the bottom, improve the process, and move up a step. That step is the new standard on which you stand while you make an improvement to get to the next one. 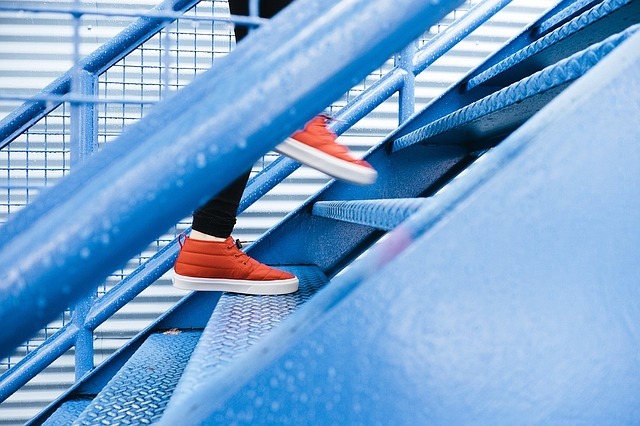 Incrementally, you're able to get to the top by moving from one standard to the next via improvement. By clarifying process and documenting current best practices, the benefits of standard work are numerous. For a comprehensive list of ways in which standard work benefits organizations that leverage it, read about 14 benefits of Standard Work. You can also find the 4 Common Myths About Standard Work and the answers to the Top 5 Questions About Standard Work we hear from customers on the KaiNexus Blog. If you have questions about standard work not covered here, or questions about How Improvement Software Supports Standard Work into your business, please contact us with your questions.